On 17 August 2017, ASUS launched the ASUS ZenFone 4 Selfie (ZD553KL) smartphone with Korean superstar Gong Yoo at the Next TV Studio in Taipei. Let’s take a look at the specifications and key features of the ASUS ZenFone 4 Selfie, as well as our hands-on preview of the first unit in Taipei! 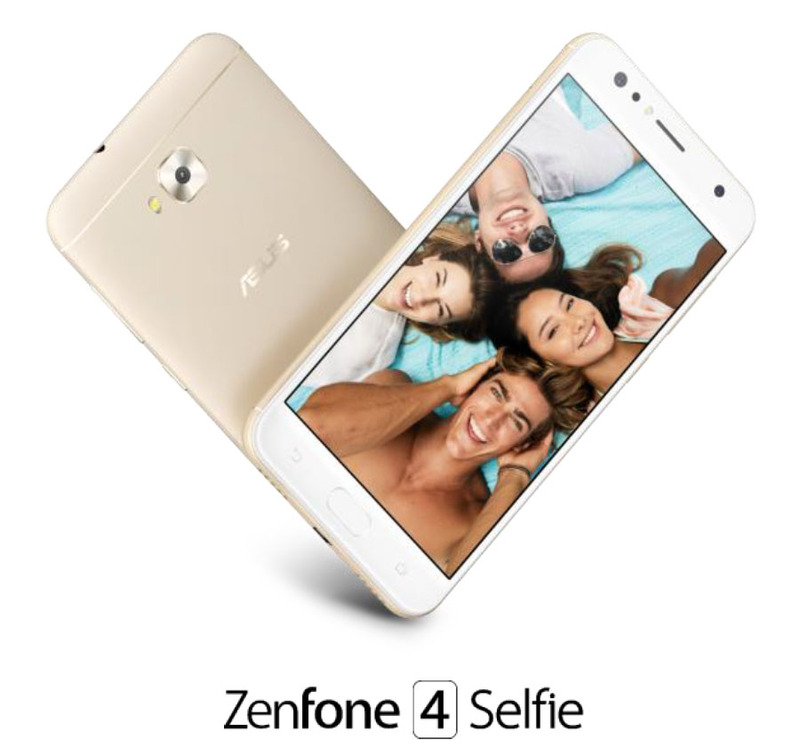 The new ASUS ZenFone 4 Selfie smartphone is designed to offer selfie fans greater flexibility in taking their selfies and wefies. Let’s check it out! Two front cameras for perfect selfies! 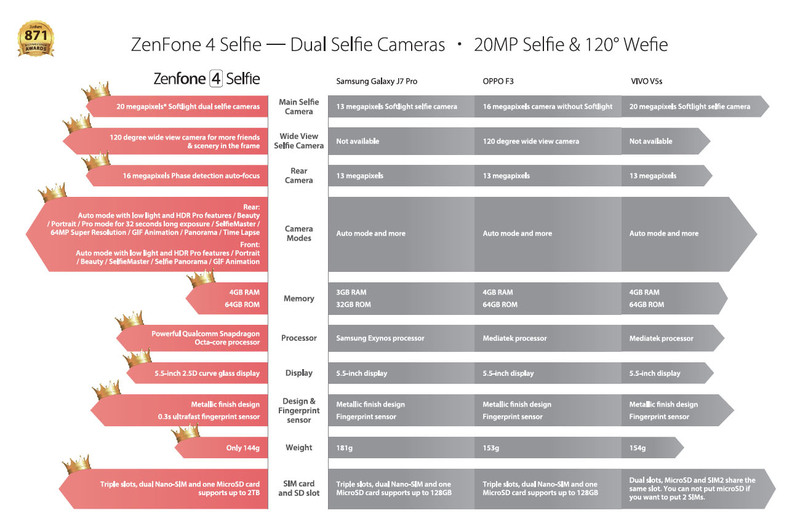 Like other ZenFone 4 models, the ZenFone 4 Selfie has two cameras on one side. This is similar to how professional photographers use separate fixed focal length lenses with their DSLR cameras for the best possible quality, and to allow them to compose photos with different perspectives. The big difference of the ZenFone 4 Selfie is that its cameras face the front, so that it can shoot perfect self or group portrait photos (wefies). The main selfie camera on ZenFone 4 Selfie features a very high 20 megapixel resolution, allowing users to shoot the most detailed selfies. Compared to typical front facing smartphone cameras that are about 8 megapixels (3264 x 2448), the 20 megapixel (5140 x 3860) main front camera of the ZenFone 4 Selfie produces photos that look much clearer and detailed on high resolution devices like monitors, and when printed on photo paper as large as A3 size. The ZenFone 4 Selfie’s second front facing, 120-degree wide angle camera allows you to capture photos and videos that fit more of your environment into the frame, so you can include a scenic background in your shot or gather even more friends together and have fun taking wefies – without needing to use an inconvenient selfie stick! The rear camera has a class leading 16-megapixel resolution; provides extremely fast autofocusing with its phase detection autofocus (PDAF) system, Full HD (1920 x 1080) video recording and can perfectly illuminate subjects in low light with a gentle LED “RealTone” flash.